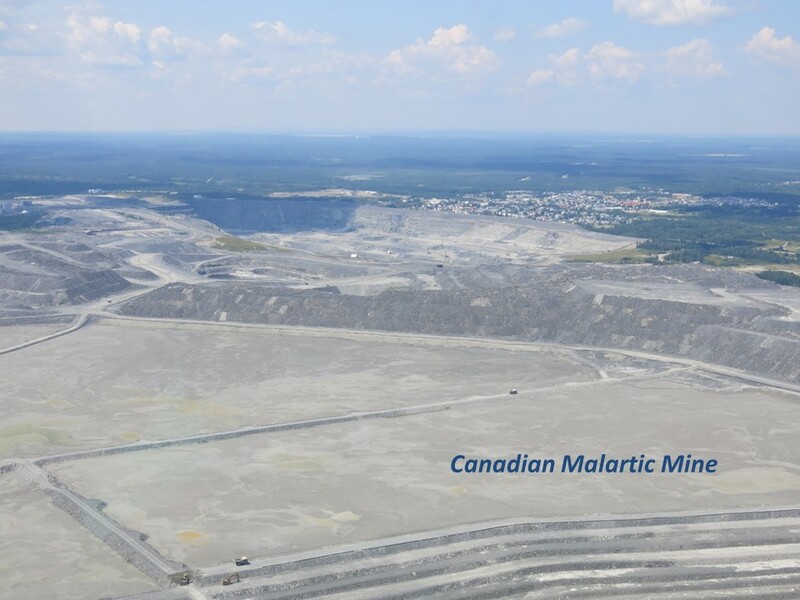 Earlier this week, local residents affected by the giant Canadian Malartic’s open pit gold mine voted unanimously in favour to move ahead with a class action lawsuit over the impacts the mine has on their property, health, well-being, and overall quality of life. Montreal-based lawyer, Michel Bélanger, will take the case. Bélanger is a well-known environmental and class action lawyer who has won multiple high-profile cases in Quebec. These include a recent class action suit against tobacco companies, the Ciment St-Laurent case in the early 2000s, the Saguenay dam breach and subsequent flood in the mid-1990s, and, more recently, stopping Transcanada’s project to build a terminal in the heart of fragile beluga habitat. Bélanger stated that he has rarely seen a case “as clear cut” as the Canadian Malartic open pit mine in terms of documented impacts on local residents. In operation since 2011, Agnico Eagle and Yamana Gold own the mine, which is not only the largest gold mine in Canada, but the only open pit mine of this size located in an urban area. It blasts and extracts over 150,000 tons of rocks and processes 55,000 tons of ore daily. It disposes of corresponding volumes of mine waste in a nearby tailings facility. In 2015, Quebec health authorities published two reports highlighting that impacts on this community of 3,500 were greater than anticipated at the outset. In the latest health survey published in September 2015, more than a third of respondents claimed to be significantly affected by the mine operations and wish to leave the town. In neighborhoods closest to the mine (less than 1km), the proportion of people significantly affected is as high as 75% (see full data here). 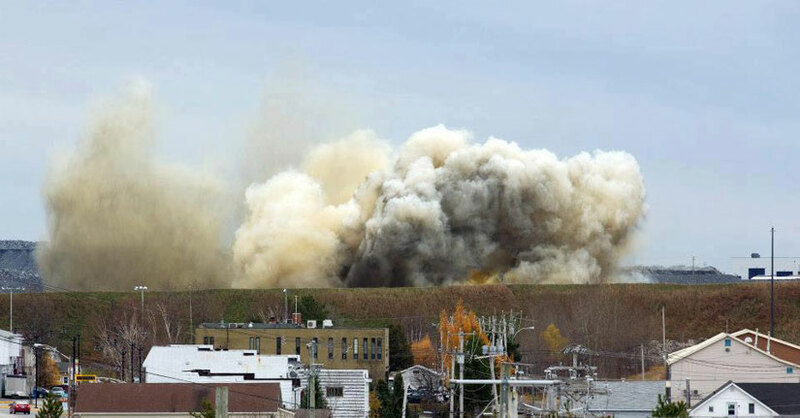 Dust emissions, ground tremors, air blasts, and noise are the main sources of impacts on local residents. These include stress, anxiety, sleeplessness, and social distress, to name a few, which are also contributing factors to a deterioration of physical health. Some segments of the population experience these impacts more severely or are at greater risk (e.g. people with higher sensitivity to air pollution, noise, or stress; seniors or people already affected with chronic illnesses; infants and children; etc.). Despite claiming to use best available practices and technologies, the operator is incapable of meeting regulated levels of dust emissions, ground movements, air blasts, and noise. The open pit mine holds the record in the province across all industries, with 171 environmental infractions and over 2000 non-compliances since construction started in 2008 (see attached documents to this blog for more details). But lack of enforcement and pitiful fines in the Quebec Ministry of Environment have failed to compel the company to comply to regulations. Over 200 households and 5 public institutions had to be relocated prior to digging the initial 2.5km open pit (500 million tons of ore and waste rocks). In 2012-2013, the company agreed to relocate an additional 49 households after local residents complained to be too severely impacted by the mine. Now, the company is seeking a permit to double the size of the mine (3.5km open pit, over 1.0 billion tons of ore and waste rocks). This would mean displacing the main local highway and affecting other neighborhoods. It is possible that the company has further plans to expand that have yet to be revealed. Local residents affected by the existing mine and expansion plans want to be relocated and/or compensated for the damages suffered. They also oppose any future mine expansion without further legal and financial guarantees. Residents have formed a committee and nominated their representatives. Together, they represent about 700 households (over 1,000 people, or about a third of the town) in neighborhoods closest to the mine. Last Fall, they initiated discussions in good faith with the company, but talks failed recently when they realized the company was, in fact, not ready to commit to offering a resettlement and compensation package to a large proportion of those impacted by the mine. Facing a wall, local residents feel there is no more options, but to consider legal actions. A claim for class action is currently in preparation and should be filed in Court by April. The Malartic case raise a series of significant questions: Why was mining allowed in the first place in this town? And more so without a formal resettlement and compensation agreement in place beforehand…? What minimal distance, or buffer zone, should be required between a mine and people? Why are we requiring buffer zones up to 1.5km for certain industries, such as wind mill for power generation in Ontario and some European countries, but not for mining? Clearly, both provincial and federal legislations in Canada are failing to establish needed guidance on this crucial issue. As of December 2015, the mine had over 8 million ounces of proven and probable gold reserves, for an approximate value of 12 billion US dollars at current market price.